With hundreds of store closures happening across the UK in 2018 and more projected to happen in 2019, there’s a distinct downward trend for some sectors. Department stores like M&S, Debenhams and House of Fraser have all reported losses and even started closing stores en masse. 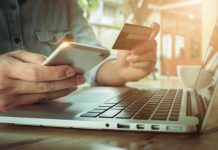 While it looks like the high street and retail generally are suffering, it’s not that people aren’t spending, it’s more that consumers are moving online for their shopping. With the convenience of next day delivery, free returns, hundreds of reviews and suggested related products, walking into a shop is no longer a necessity. It’s a consumer-driven world and online is where the consumer has the most control and greatest access to the biggest variety of products. You don’t need to be near a store to access what they have in stock anymore and these days 85% of consumers over 18 shop online and one in every £5 is spent online. With the likes of Amazon offering just about anything you would normally find in a department store, you can see why the likes of some of the largest department stores in the UK are suffering. However, one such sector that’s not only defying the down hill slump but has also seen a massive upturn in recent years is the vape shop. With a global projected CAGR of 20.8% in the next decade, the rise of the vape shop is only in its infancy. Back in 2011, there were only 7 millions vapers worldwide. Now in the UK alone, there are over 3 million. Despite a huge number of closures in clothing and department stores, vape shop numbers have increased 30 times in 2018. By and large, what differentiates vape shops from the rest of the high street is the customer service. With so many people using e-cigarettes as a means to quit smoking, consumers want tailored advice. From their nicotine strength, flavour recommendations and suitable devices – customer service in the e-cigarette industry holds significant importance. It’s not just beginners who benefit from going into a high street vape shop. Vaping aficionados looking to buy a box mod vape kit or get into the rebuildable and custom parts of vaping can get advice and lessons from experienced staff. 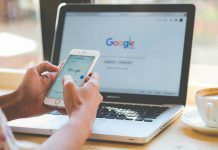 While some consumers will prefer to try and buy products in store, 84% consumers trust online reviews as much as they would a personal recommendation from a friend. With hundreds of products available in a few clicks and verified reviews from the likes of Feefo and Trust Pilot, it’s easier than ever to see what everyone else likes, why they like it and whether it’ll suit your own needs and preferences. The benefits of shopping online are numerous, starting mostly with convenience. Aside from a rapid uptake in vaping, it’s a more convenient way to purchase nicotine containing products. There are no queues online, there’s PayPal protection, autofill address options, free delivery and free returns. All of these things add up to make shopping online the faster, easier and less risky compared to buying in store. It also means that if you’re not minutes away from a physical shop, there’s no reason you can’t get exactly what you want within a 48 hour window or less. Shopping online is also a way to save time which is a major selling point when everyone’s time is at a premium. In a few clicks you can order your usual vape juice, upgrade your kit or buy replacement parts on your morning commute. There’s no longer any need to make a special trip to a store at lunch or after work. Another factor is that when you’re in store, sometimes the one product you really wanted isn’t in stock. When it comes to online, you have the greatest amount of options and can compare and filter down to a minute level. 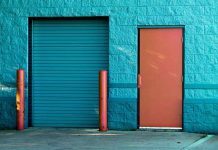 It’s comparable to walking through an immense IKEA store versus just going onto the website, filtering the kind of furniture you want, the price you’re willing to pay and what colour you’d like. Vaping is the same. If you want a large bottle of e-liquid with a fruit flavour, you make a few clicks on your smartphone and can see all your options without leaving the comfort of your sofa. If you’re torn between options, most online vape shops have online chat so you can talk to someone quickly and sort your order in minutes. All in you get the “in store” bonus of expert without ever needing to leave the house or wait in line. Aside from benefiting consumers, being online benefits retailers too. Without such heavy overhead costs like shop rental and merchandising, stores can pass on what they save to consumers. Money can instead be put into things like more warehouse space, purchasing stock in bulk and in turn giving back things like bundle deals, free shipping and gifts with orders. The way UK shoppers operate is changing. Both what people want to buy and how they buy it is changing. With that, retailers are having to adapt in this consumer-driven world. People don’t always want to walk through screeds of products and having to return to a physical store if something breaks or doesn’t do what it’s supposed to. Pre-paid postage returns, online help, hundreds of options available with a few clicks has revolutionised how people shop. Whether you’ve tried at an e-cigarette in a shop, purchased e-liquid online or chatted with staff in either, the vape shop looks like it’s here to stay. 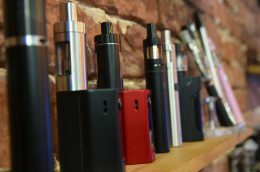 With an increase in awareness regarding the comparable safety of e-cigarettes compared to conventional smoking and a next level standard for customer service, people are flocking to vape shops online and on the high street.